Colorado Homes & Lifestyle Magazine Top 5 Under 40! Home / News / Events and Happenings / Colorado Homes & Lifestyle Magazine Top 5 Under 40! Lifescape is proud to announce that our very own LeAnn Ostheimer was named one of the Five Under 40 Design Stars for the Class of 2017 by Colorado Homes and Lifestyle Magazine. LeAnn serves as Director of Design and Marketing at Lifescape and has been a valuable member of our team since 2006. 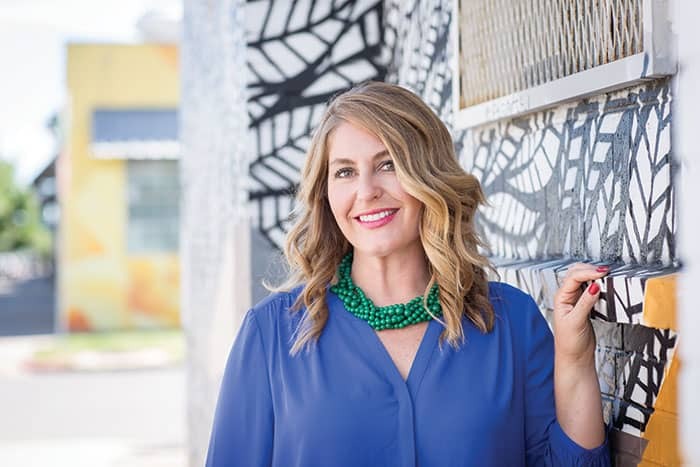 The Colorado native studied landscape horticulture and design at Colorado State University and has had a passion for landscape architecture since she was a young girl growing up on a dairy and crop farm east of Fort Collins. If you look at her portfolio, you’ll see that LeAnn has completed a diverse range of residential projects, from modern gardens to a miniature replica of the Gardens of Versailles. What she enjoys most about her job is that no two clients want the same thing, and each project that she takes on is an opportunity to prove to herself that she can achieve her client’s vision. Please join us in congratulating LeAnn for this outstanding recognition, and contact us at Lifescape to learn more about our team of experienced professionals.